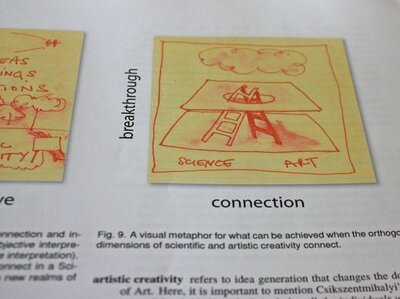 We then discussed the last reading "Art and Science as Creative Catalysts," a paper originally published in Leonardo on the process and unexpected benefits of science-art-tech collaboration. Rather than focusing on output, our discussion highlighted the paper's strong points about productive off-shoots a collaboration can have, even if the collaboration's own end product never comes to fruition. Additionally, the idea of "n cultures" was raised as a replacement of the "two cultures," "third culture," and "fourth culture" models that were presented in readings throughout the course. 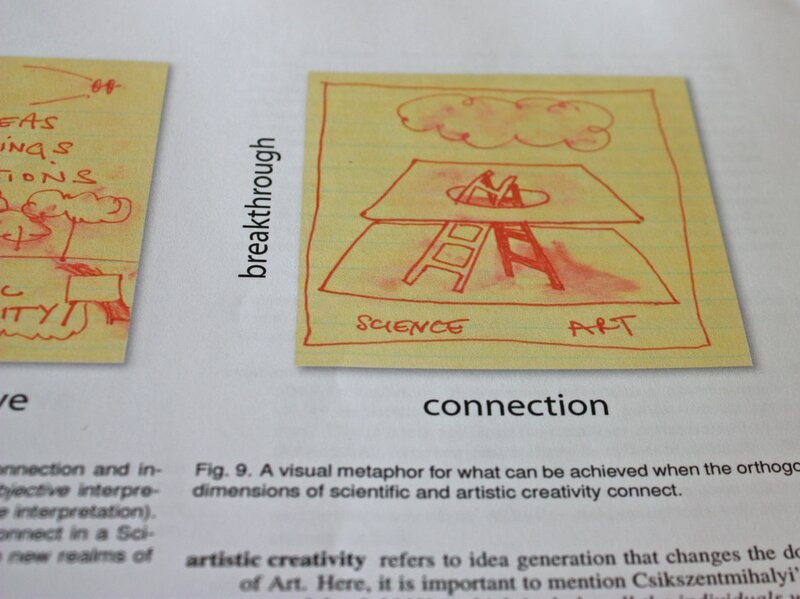 "n cultures" allows for the deeper discussion of the need for better communication not only between art and science but within each vast and multi-specialized discipline itself. 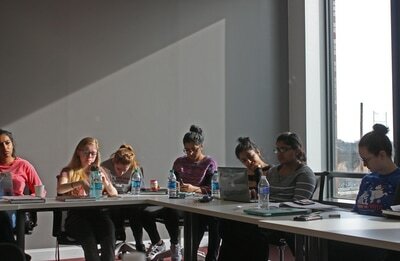 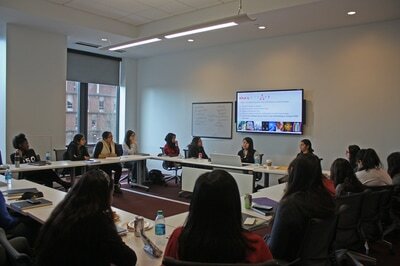 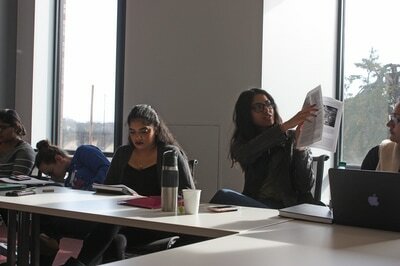 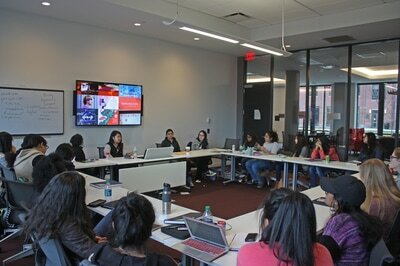 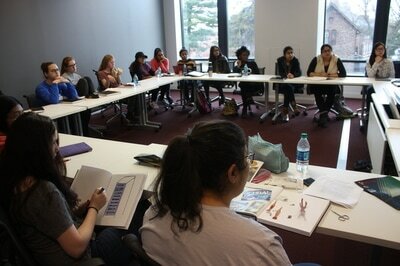 In the afternoon Rutgers faculty Lisa Klein came to visit our class to discuss her research. 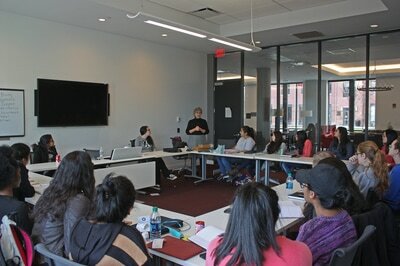 Lisa has been part of the Materials Science & Engineering department at Rutgers for over 40 years. 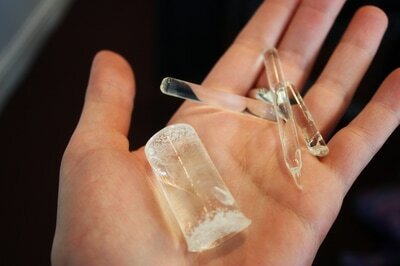 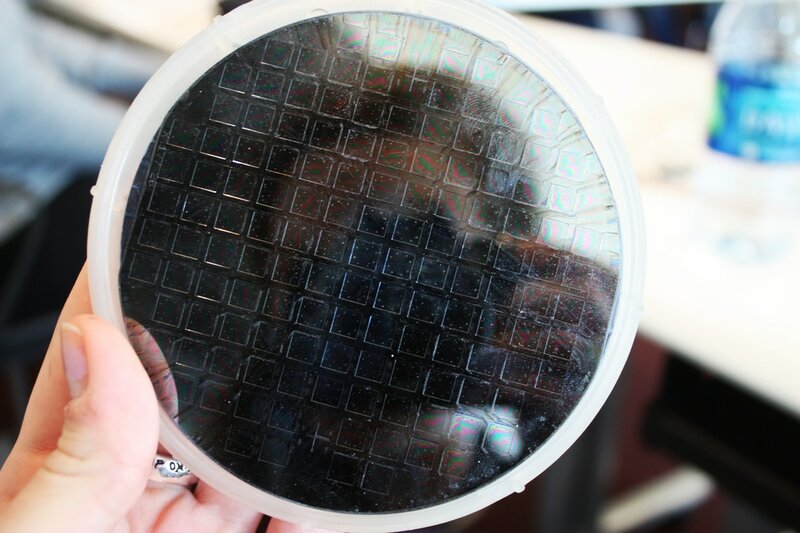 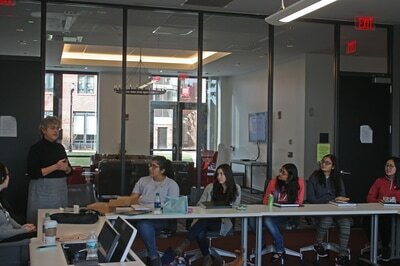 She shared with us a bit about her career path and research into creating glass at room temperature and scratch-resistant plexiglass, and showed us some fascinating material samples. We ended the day with a visit from the Rutgers student STEAM group. Founded last academic year, this group is part of a network of school groups (started by RISD and Brown) that host regular STEAM activities open to all students. 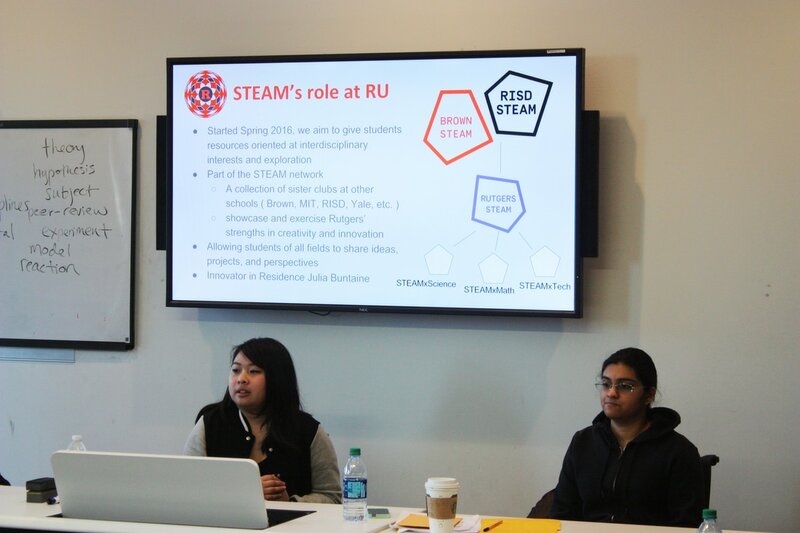 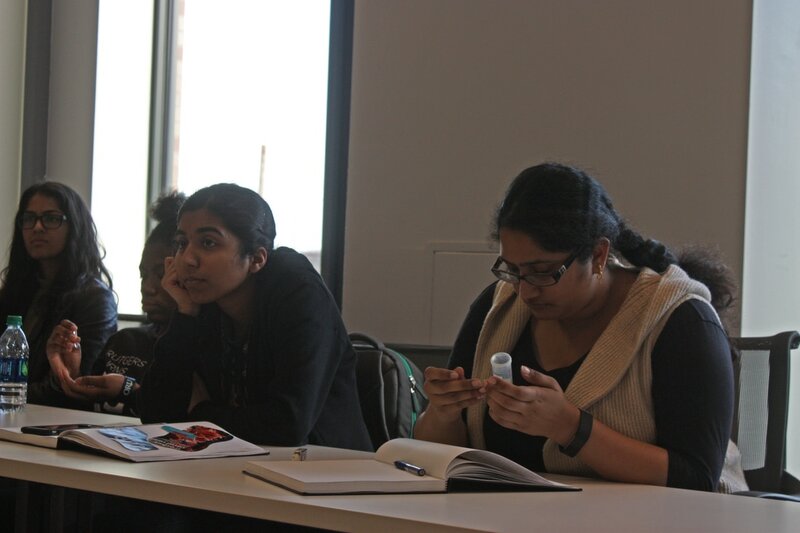 Danica Sapit, the current Rutgers steam group president, spoke with us about her academic career, the STEAM group's activities, and ways to engage in STEAM following the conclusion of this course.